Jessica Myshrall speaks with Akeisha Lari and Kaitlyn Taylor-Asquini about the bright future of Ryerson’s seed funding committee. With on-campus idea incubators like the DMZ and Zone Learning, there is little doubt that Ryerson is driven by innovation. But incubation is just the tip of the iceberg. Investing money into new ideas can be incredibly pricey–especially for the average indebted university student. Fortunately, up to $9000 in seed funding is available to students with community-building ideas through Student Initiatives Fund (SIF). In 2014-2015 alone, SIF, formerly known as PFACS (Project Funding Allocation Committee for Students), granted seed funding to a total of 78 applicants. I sat down with Akeisha Lari (Interim Coordinator of Student Life Programs) and Kaitlyn Taylor-Asquini (Leadership Development Facilitator) to discuss the new directions that SIF will be taking this year to increase awareness of its presents and why the value of this committee goes far beyond just getting money. 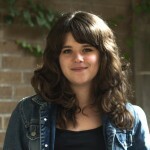 JM: Why is SIF, in your opinion, important to Ryerson? AL: When a student has an idea or an initiative, it’s important that there’s a spot at Ryerson that both values that area of professional development and that can put money behind it. It’s not just people saying, “I can coach you and help you plan.” but having someone that can provide money as that driving force to help you do it. I think that’s what makes SIF so important. It’s that seed funding that will help these students to get to where they want to go. KTA: I agree. Because of the culture that Ryerson has built, focusing on and encouraging innovation, SIF is the perfect kind of outlet for students to build on their ideas and what they’re trying to do. JM: How does SIF contribute to the student experience? AL: University is supposed to be a transformative experience where you develop into the adult that you’re going to be. Having opportunities where students can go through the process of submitting an application, like the one required by SIF, is important. It’s not just getting the money part, but picking a project supervisor, following-up with reporting, writing a proposal, writing a budget, and presenting it…all these things help to give the “student experience” a little bit of weight behind it. You’re going to need to be able to do that in whatever job you go to. Part our mission in Student Life is helping students to empower themselves to reach their infinite potential. That infinite potential could be this event that the student is putting forward and that empowerment can come in the form of Student Initiatives Fund. KTA: SIF helps students put together events that create community and culture on campus. In Student Affairs, we throw programming, we host programming, we, through Akeisha’s area, run orientation, but without student-organized events, the culture and community of Ryerson wouldn’t be what it is. AL: Yeah, it would be just one department putting forward what they thought was best to create that “student experience.” But giving students the opportunity to put what they want forward, through their own ideas, that’s what actually creates the robust amount of events and initiatives at Ryerson. JM: Can you think of any projects particular that contributed to that sense of community on campus? KTA: Mass X (Mass Exodus) is a great representation of an event that’s really shaped Ryerson culture and the School of Fashion. SIF is capped at $5000 for new initiatives, and if students get the full $5000, they can submit a secondary application to be eligible for another $4000, so the most that any group can get is $9000. Mass X is a massive project, but smaller projects within Mass X were funded this past year. For example, there was a group from Mass X that came to SIF in search of funding for an app that would allow students to put their clothing up there and sell it in real time. A lot of magazines that go out through Communication and Design are funded through SIF as well. JM: What would you say was is the most notable project that you have funded in the past? KTA: Neither of us have a robust history with SIF and the answer to that is super subjective, but we had one project this past year that was really memorable for me and I think probably for the rest of the committee. It was from a student who had originally planned to buy the rights to a theatre production in New York and bring it to Toronto for his final thesis project. All of his professors told him not to do it because they didn’t think that he’d be able to pull it off. So he invested his own money into it, but ended up not doing it as his final project which is why he was able to apply for funding. Even though he picked something else as his final project, he still felt very passionate about production, so he ended up coming to SIF, and in the end, I think he had most of the costs covered. JM: Based on this project, what factors would you say led to its success that other applicants could learn from? KTA: This student was really able to demonstrate the kinds of things that make up a good SIF presentation as well as how it enhanced the sense of community at Ryerson. Anybody, not just a specific group of people, could attend the production. Sometimes we will run into incomplete applications or students who didn’t take the time to read through what’s required. About 25% of students, if not more, come in with an incorrect budget, one that doesn’t follow the template, or they don’t understand the difference between anticipated and actual expenses. The SIF section on the Student Life website is super helpful and all you need to do is read through it to know what makes a good presentation. Read the instructions and if you have additional questions, contact Akeisha or myself. We’re here to help. JM: So would you say that SIF is the Dragon’s Den of Ryerson? KTA: Yes! I’ve definitely heard that before. That’s exactly what students say because it can be pretty intimidating. The amount of people is substantial–it’s close to twenty people asking you questions. JM: It should be televised. AL: Yeah, on RUTV. We should invite them in for an episode. JM: You need a Kevin O’Leary though. KTA: I’m sure there’s a wide range of characters in that group. There was last year, anyway. Q: Why should students apply to SIF? K: Money. Funding for your event is number one. The experience of putting together an application and presenting it in front of a group of twenty of your peers is also a fantastic learning experience, especially since Ryerson is so set on the importance of experiential learning. Also, it’s good for the profile of your project. Having SIF backing you helps to create a wider awareness of the project you are working on. JM: How can students get involved on the committee? A: It’s two students from each of the six faculties, plus one RSU representative, one CESAR representative, two representatives appointed from OVPS (Office of the Vice-Provost Students), and one representative from grad school. Applications are now closed. JM: What are some ways that you have tried to facilitate student involvement? KTA: Last year, there wasn’t anything but this year we’re really looking to put SIF out there so that students know what it is. AL: Front-line promo for sure, especially with the new brand, and more profile on successful events. In the past, it’s been mostly through referrals that people have learned about SIF, whereas the goal for this year is to really put it out there. I’d also like to have the SIF Administrator do a short writeup for the RU Student Life blog, maybe once a month, that highlights some of the projects that have come through. I have lots of ideas for how to raise the profile of SIF because so many of the students I talk to don’t know that it exists. It’s about integrating SIF into the event culture at Ryerson so that when Society Managers are advising students about creating events, they can say, “By the way, along with booking your room, booking your food, put in a SIF application and hopefully get funding.” I think if we can do that in the next year or two, there’s going to be an influx of applications. JM: What is the best way for students to contact your office? AL: They can contact me directly at 416-979-5000 ext. 7352 or at akeisha.lari@ryerson.ca. They can also contact the SIF Administrator at sif@ryerson.ca. Her name is Elyza Brown. I’ve been making changes to remove the old 5187 number from the Ryerson websites. That will be done before September. JM: If they don’t get a hold of you directly, what is the expected response time? AL: I’m pretty good at getting back to people. I’d say 24-48 hours on work days. I get back to my peeps! 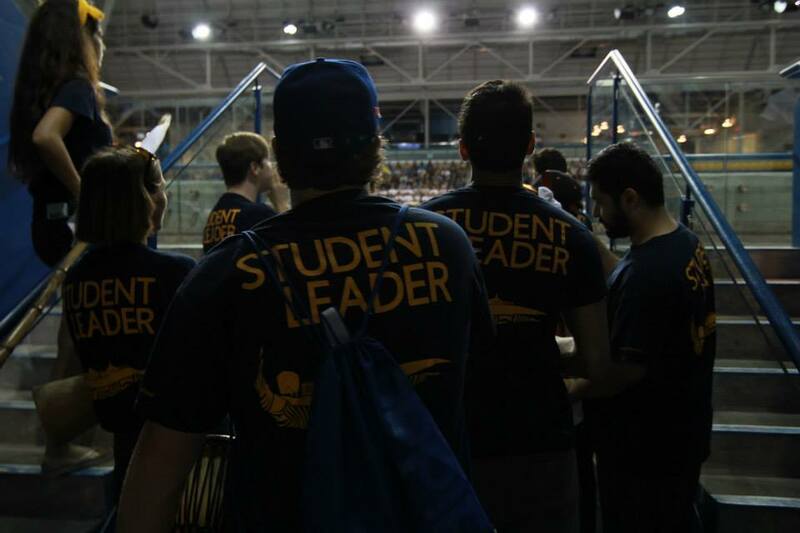 For all the latest news, look for the Student Initiatives Fund on connectru.ryerson.ca.